Street protests are back. Different year, different color shirts in the street, different issues that still largely revolve around one person that no longer lives in Thailand. The characters and largely the same, as is the supporting cast, the roles are reversed, the protestors of 2010 are now in power. There are secret deals that aren’t secret, agendas, sub-plots, comments, innuendo and loads of ego. And hopefully people on the streets that truly believe in the change they are protesting for. My view remains unchanged from when I witnessed the 2010 protests- it is wonderful to see groups of people willing and able to protest and something I wished would happen more in my country. My feelings changed in the aftermath of 2010, I don’t believe the political protests are a vehicle of change for the ‘people’, but rather a tool to further an agenda, an agenda that is not develop by the ‘people’ or that will be implemented for the ‘people’. Social media has grown tremendously since 2010, both in depth and breadth of use and will have a major impact on this and future protests. Social media will help shape future agendas. 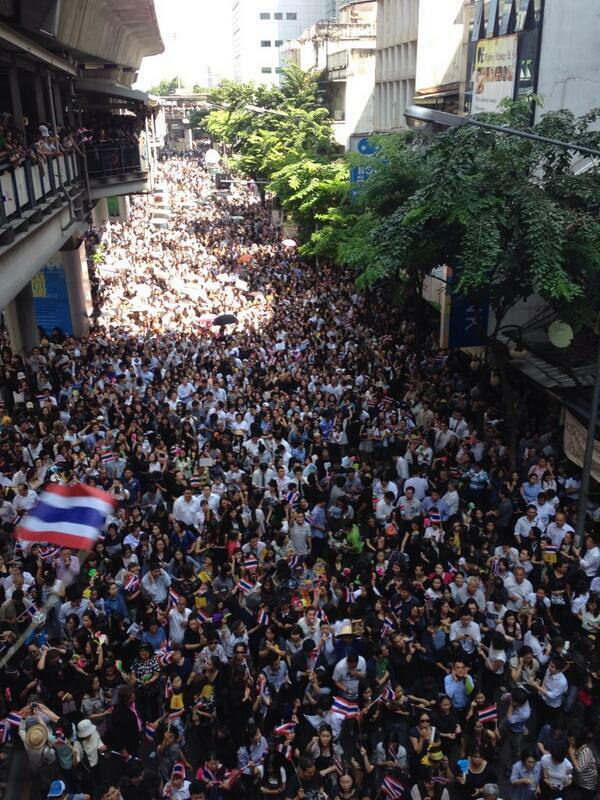 The protests should not impact anyone visiting Bangkok or Thailand. Traffic is a constant mess in Bangkok, the protests will make add to the mess, take BTS, MRT, boats and walk. At this point the central protest site is at the Democracy Monument, not the central business district like 2010. Any reports and news saying these protests are like 2010 are overstating (this is written on 5 November) the situation. There have been large numbers of people at the protests, but businesses are operating as normal. This entry was posted in Bangkok, Politics and tagged amnesty protest. Bookmark the permalink.